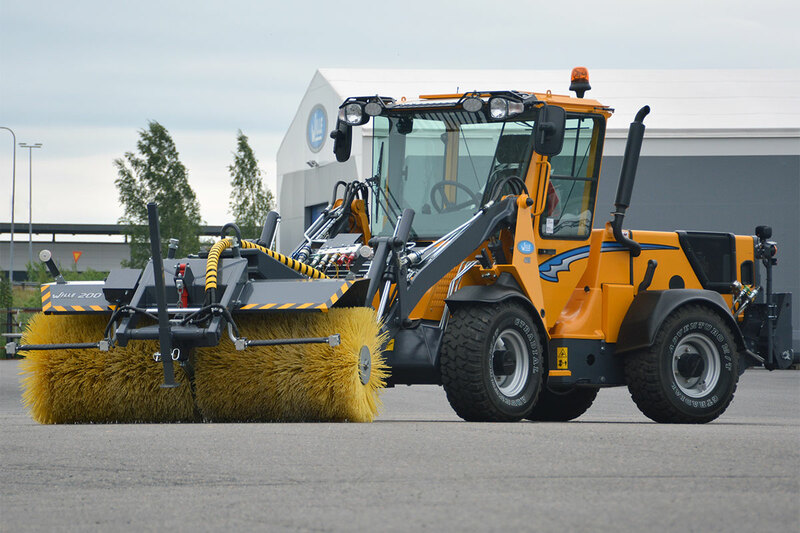 Wille Optim rotary brush is just the right kind of work attachment for cleaning the ground of leaves, snow and sand. 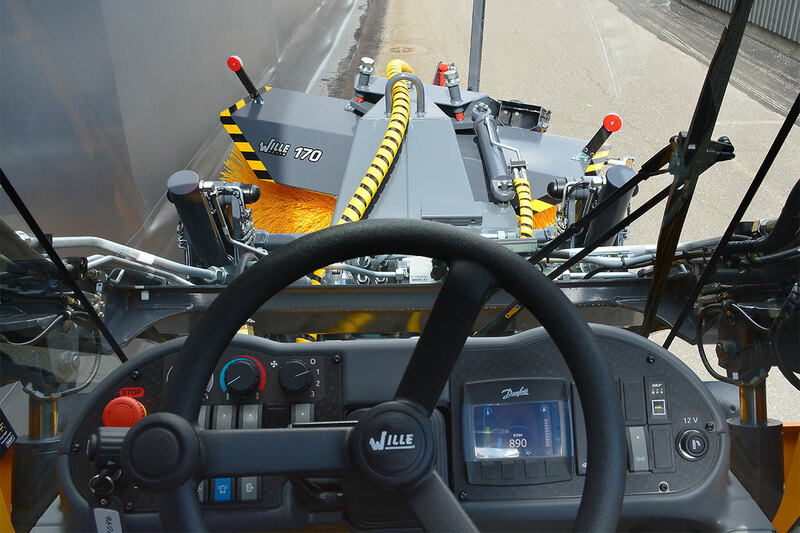 The brush is equipped with a sprinkler nozzle for dust suppression as standard equipment. *) Rotary brush 140 has a hydraulic horizontal movement to the left 220 mm and to the right 265 mm. The brush moves vertically 100 mm.